Jackson, a former England Schoolboy international, began his career with his hometown club Swindon Town. Primarily an inside-forward, he progressed through the ranks to become an ever-present member of the team that won promotion to Division Two in 1963, but was then surprisingly allowed to move to Home Park. A key part of the side that reached the League Cup semi-final under Malcolm Allison, he fell out of favour when Derek Ufton became manager and moved on to Crystal Palace after just under three years with Argyle. 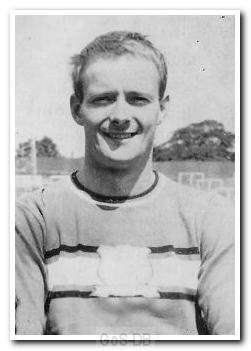 He spent four years at Palace and helped the club gain promotion to the First Division in 1969. Jackson ended his professional career with Torquay United and also played for Cambridge City.